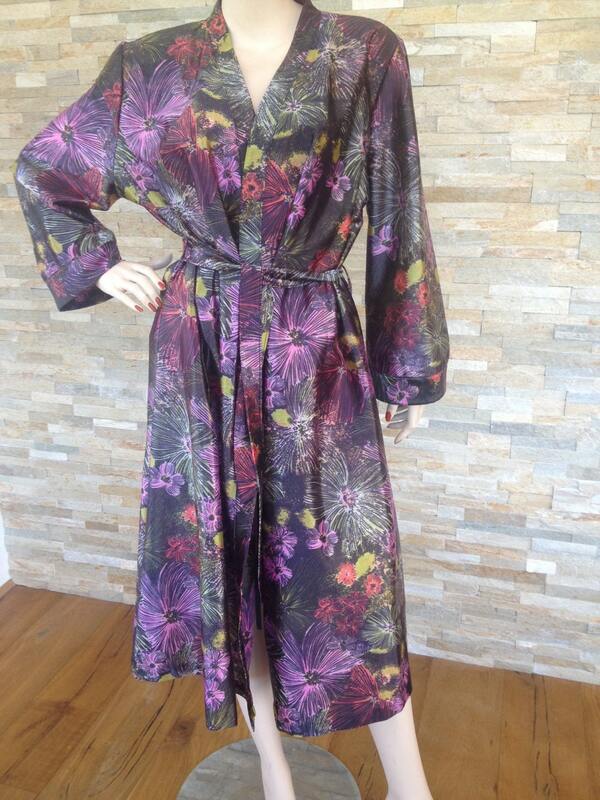 Vintage Floral robe. 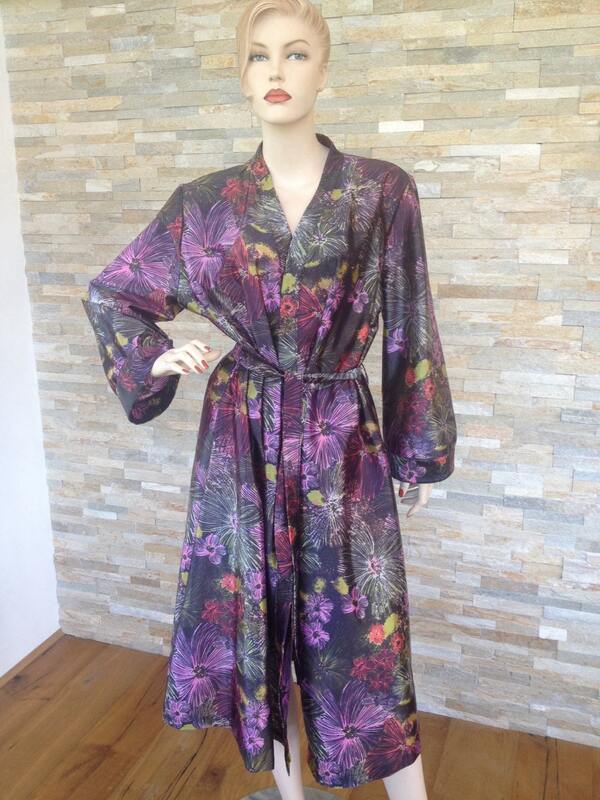 In black with Multi coloured floral print. 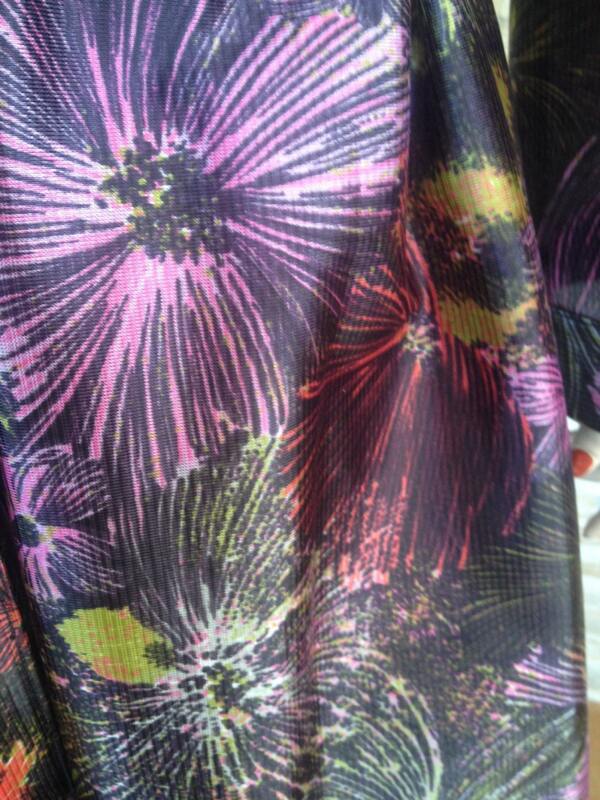 90% polyester, 10% nylon, machine washable. Size bust 42/44" label size 20. Please ask for any other details.